Seriously? OMG! WTF?Joaquin Phoenix Archives - Seriously? OMG! WTF? 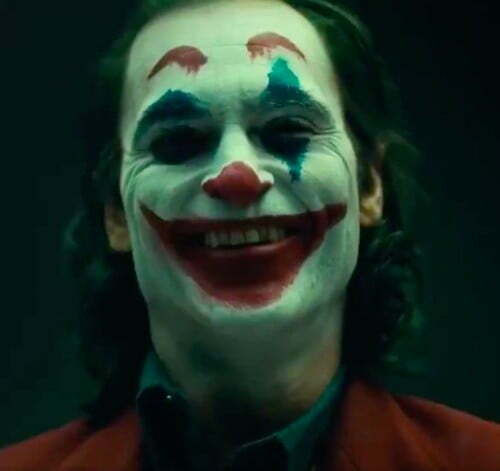 The first trailer is out for Joaquin Phoenix’s Joker and it looks more like a depressing independent film that is just gunning for an Oscar instead of a movie about one of the most notorious villains. I hope that this movie is such a bomb that DC Universe realizes they need to stop make superhero movies like this. They need to do more films like Shazam and Aquaman. Who wants to see the Joker be a depressed man on October 4th? He is evil not someone who needs to be on antidepressants. Heck, it looks so depressing, it will make us want to take antidepressants or up our doses. How do you like Joaquin Phoenix’s Joker? Warner Bros released the first photo of Joaquin Phoenix as the Joker and it is a joke, right? I mean why can’t they put on his makeup evenly. Why does he look like his 2-year-old put it on? Hopefully, the movie will be better than he looks, but I highly doubt it. On Sunday, we got to see Joaquin Phoenix as the Joker before he was the villain. Now we are getting to see him after he becomes the notorious Batman bad guy for Warner Bros. I don’t know about you, but it does nothing for me. It doesn’t scare me or make me like him. But I am not the target audience because I cannot stand the new DC Universe movies. What do you think of the latest look for the iconic character? We know that Joaquin Phoenix is starring in a film about The Joker’s origin, but we do not know what he will look like in it. Today, Director Todd Phillips shared the first photo of his villain. What do you think of “Arthur”? To me, he looks just like how Phoenix has looked in his last few movies, so I do not see any difference. After months of rumors that Joaquin Phoenix is going to star as The Joker in an origins film, Warner Bros confirmed today that it is a go today according to The Hollywood Reporter. No word when the Todd Phillips directed film will be coming out, but it is slated to begin filming in September. What about Jared Leto’s Joker from Suicide Squad? That feature is still in the works. Because what does Hollywood need more of? They need more movies from DC Comics and Marvel. Says fewer and fewer moviegoers. Back to Phoenix as The Joker, I think it is a bad choice. Ever since his stupid stunt for a movie that totally sucked, I lost all respect for him. He is crazy enough to play the villain but he does not have the same charm as Jack Nicholson and Heath Ledger who have also played the iconic role.